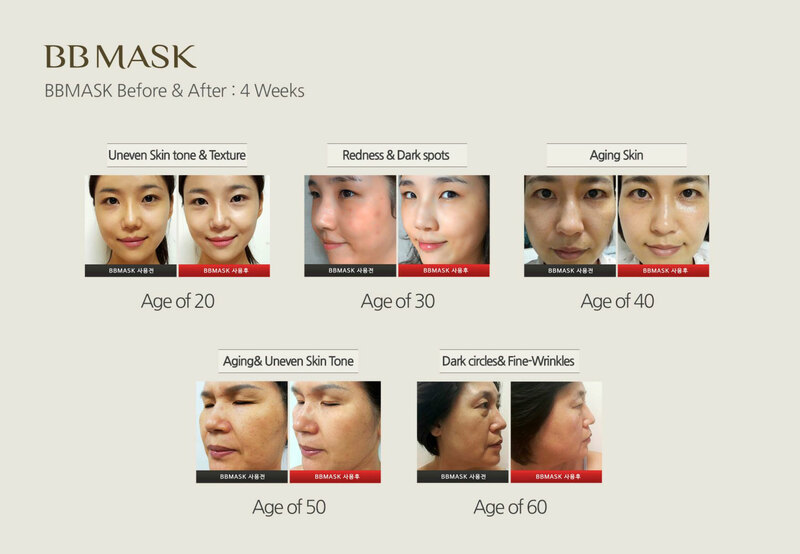 Infrared Light is known as "Light of Life" for extreme efficacy on skin revitalization anti-aging. 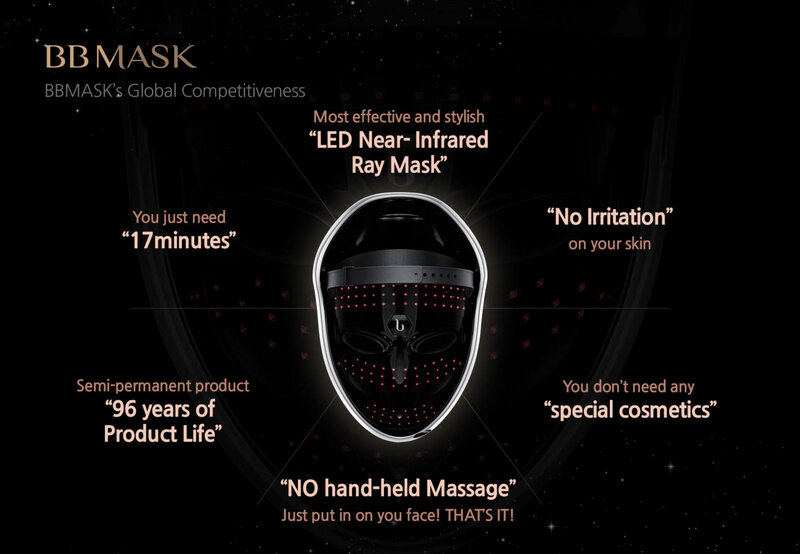 It can penetrate into deep skin reproducing collagen with extremely low heat generating on your skin. 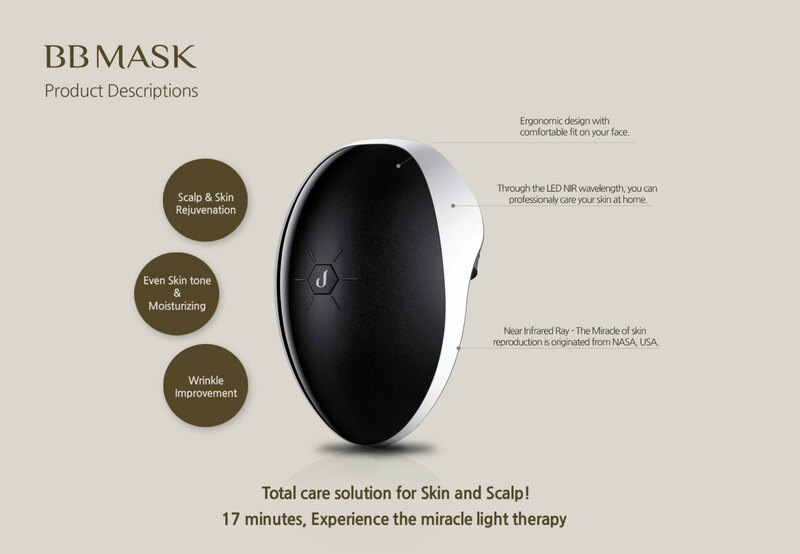 This miracle light cares blemishes, wrinkles and fine lines, improves trouble spots and boosts the complexion's radiance and appearance. Using Infrared light on skin was first introduced by NASA for wound healing of astronauts. 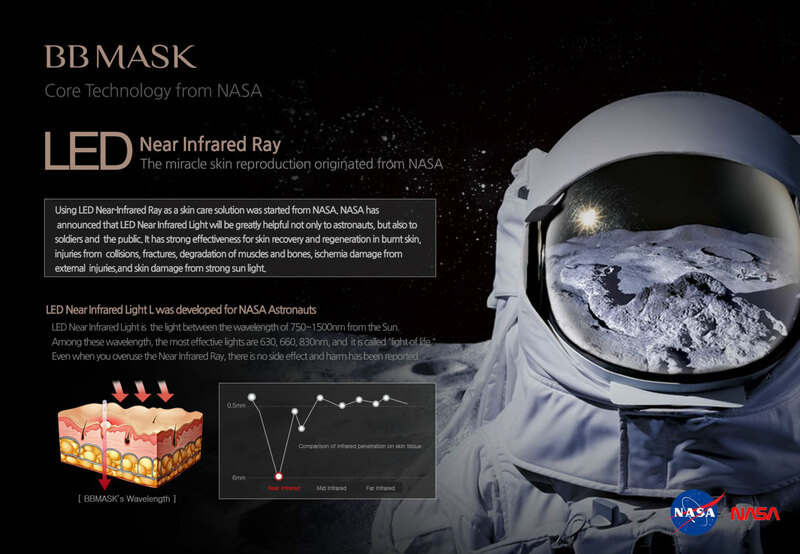 NASA reports that infrared light can improve healing of wounds such as blemishes, serious burns, and soreness. 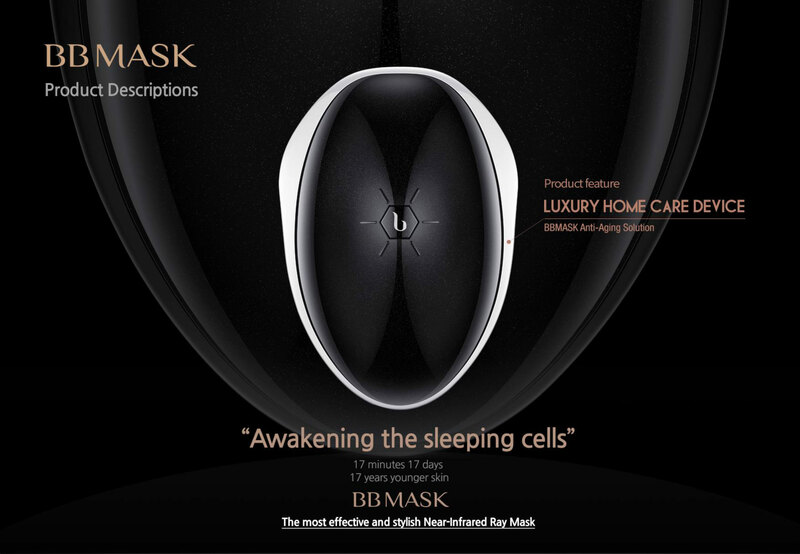 The result of clinical demonstrations proving the effectiveness of BB Mask itself shows that infrared light gives dramatic change in reducing wrinkles and improving skin complexion by improving the cell activation. 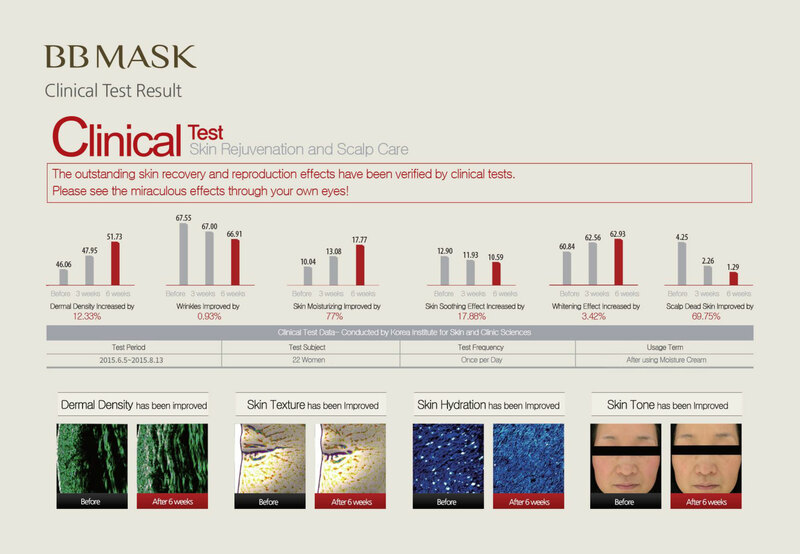 For more effective results, use skincare cosmetics together to boost up its superior moisturization and administration. Skin moisture is used as a figure of evaluating skin wrinkles and elasticity, which affects the healthy skin and aging most directly. 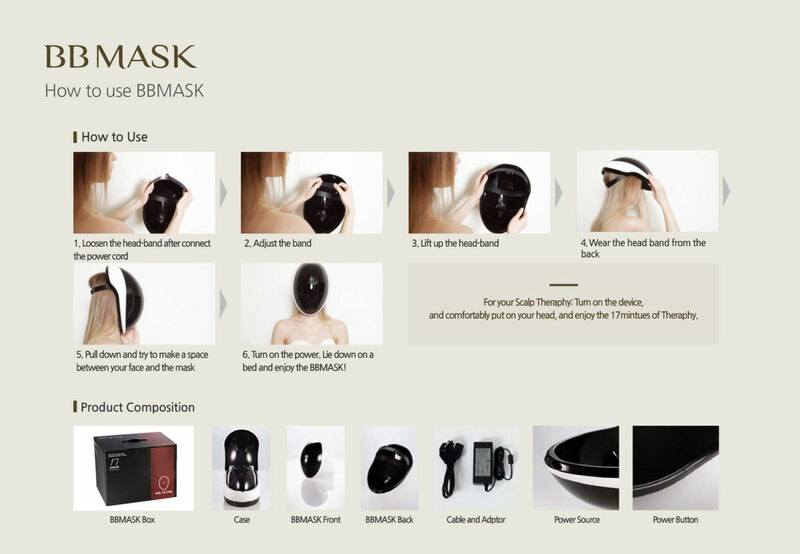 The result of clinical demonstration shows that BB mask is extremely effective in increasing skin moisture. 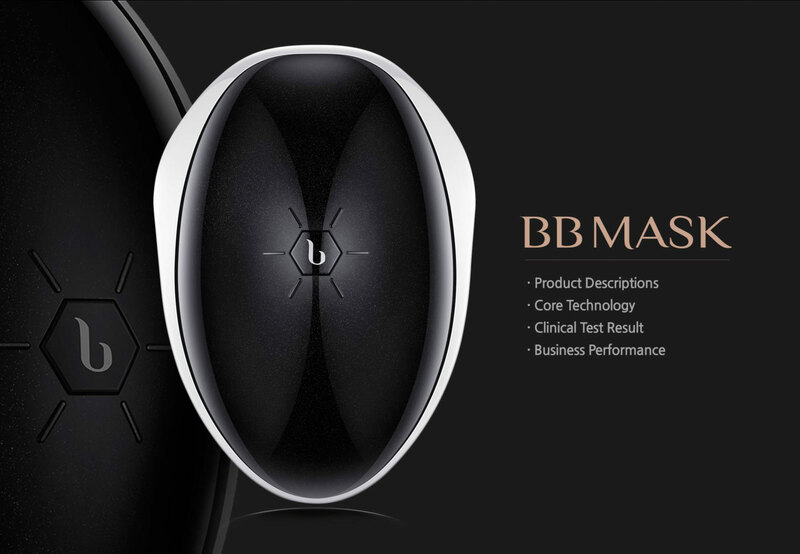 - Stop using in these cases-red spot, swollen, itchy, etc. - Don’t use with injury part, eczema, dermatitis etc.